I was so blown away by some of the options y'all came up with that I almost forgot I had promised a bonus block! 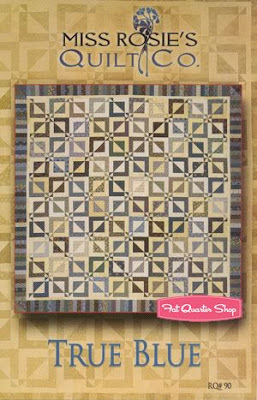 This block comes to you by way of Miss Rosie's Quilt Company. The pattern is True Blue. Can you see the similarities? 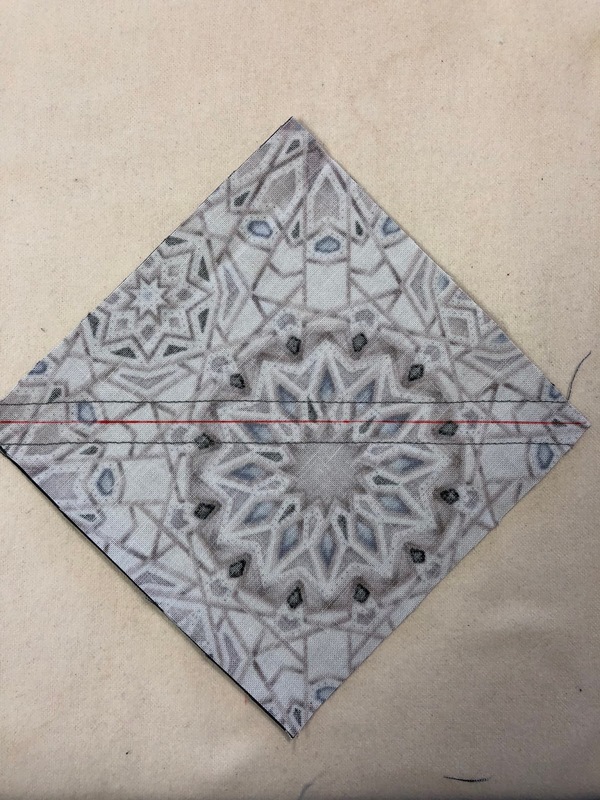 In this case there is just one block that is rotated to create the secondary pattern. 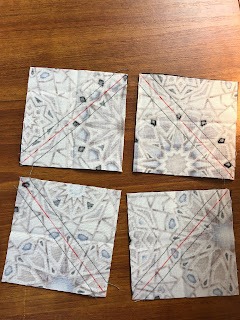 Like our mystery, you can start with two fat quarters and use the same cutting diagram. Make the large triangle squares (Clue 3) and the small triangle squares (Clue 4) only and assemble like a 9-patch. As in our Magical Mystery, be sure to pay close attention to the orientation of your triangle squares. I wish I could capture a picture of the bird that sits on our chimney and welcomes each morning. 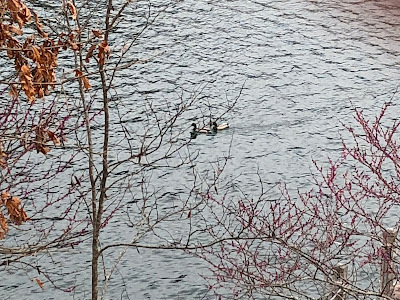 I think it's a robin, but since it remains out of sight, I caught these wood ducks forging across the lake into a headwind this morning. 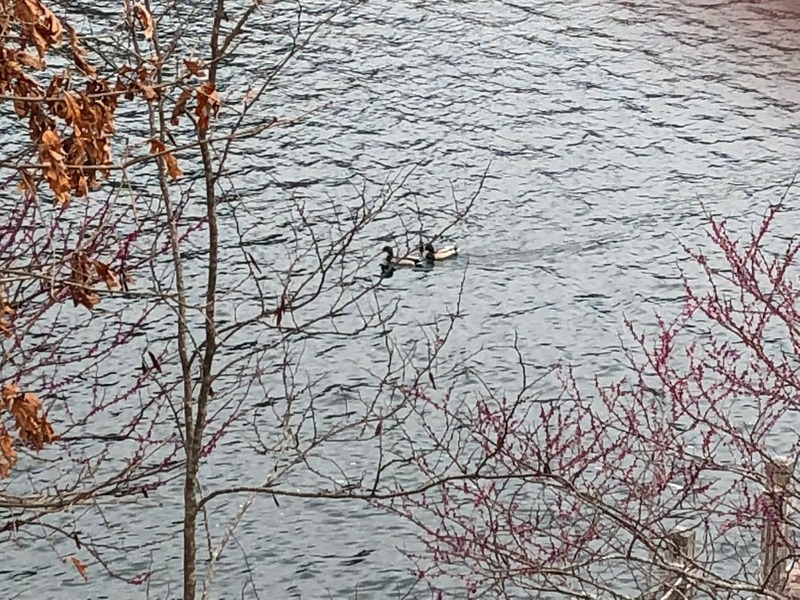 They took turns in the lead to give the other a break. And since some of you asked, there has been some progress in the sewing room. I tell y'all, this operating from two abodes is not easy. Which is my way of saying I don't have much to say because the laptop got packed early and it has the only photo I can find of my finished quilt. So here it is, with no borders and crappy lighting. This is the barn raising setting, off center. What I really want you to see is the variety of fabrics. For some reason I collected a bunch of fat quarters in this burnt orange color -- I don't think they were from a "collection" or "line," just a similar color. The lights are all shades of beige, some a bit darker than others. I just tried to balance the placement. I hope you can see how easy it would be to make a group quilt using this block by specifying two colors, one light and one dark. 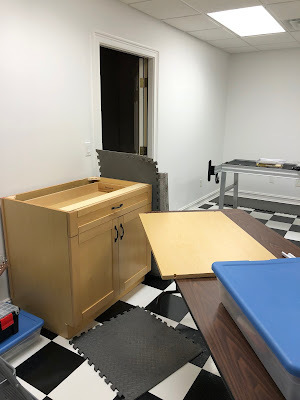 Each step along the way lends itself to trimming to a standard size, as well as the final blocks because, as you well know, no one's 1/4 inch is the same as yours! The bonus block will have to wait for a day. We're up at the Glade for the week. I'm hobbling around as much as I can with the boot, trying to exercise the foot when the boot is off. 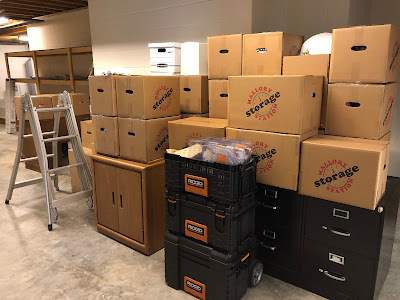 Now that I can put weight on the foot, I should be able to go down to the new studio and help Mr. Hillside (now Mr. Lakeside) put things away. Blessings to all for this Holy Week. 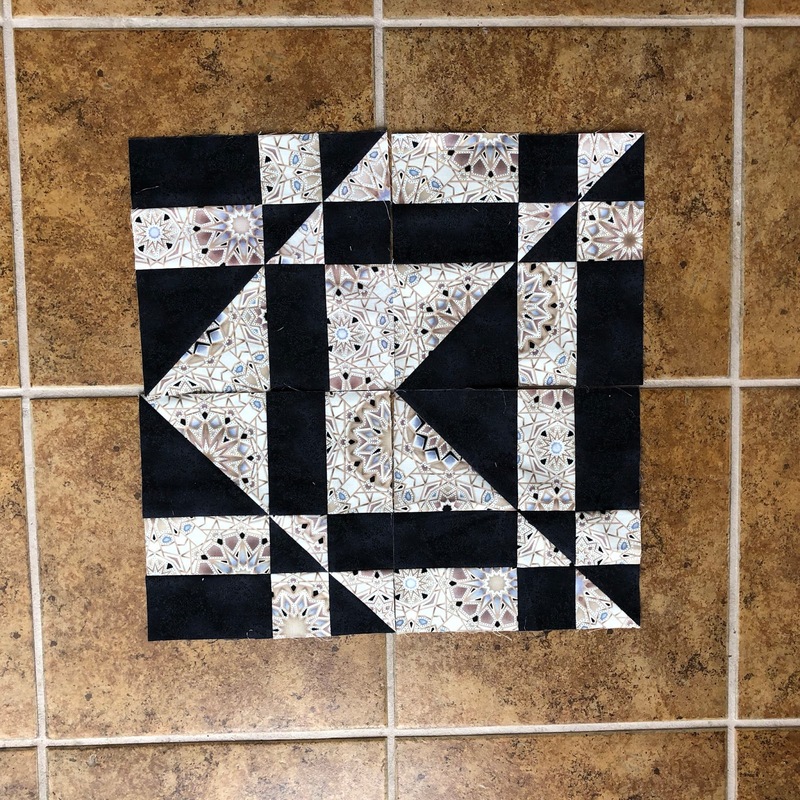 How two different blocks can be made from the same pieces. The multitude of setting options. Actually, youall came up with a lot more! 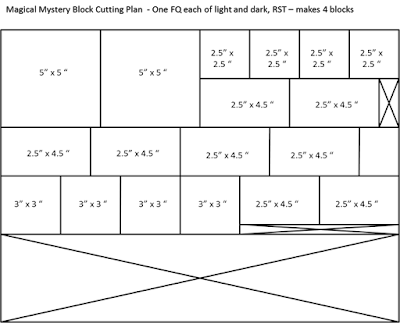 Each block is constructed from four units: Two rail units, one large triangle square, and one 4-patch unit. Pay close attention to the orientation of the triangle squares. 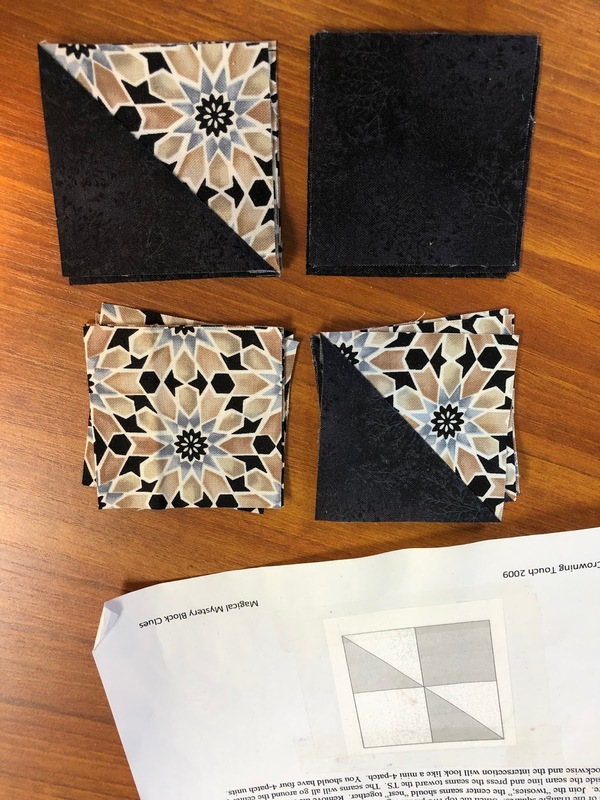 Assemble like a 4-patch, sewing a rail unit to the 4-patch unit and the large triangle square to a rail unit. Press toward the rail units. Spin the final seam (or press open). 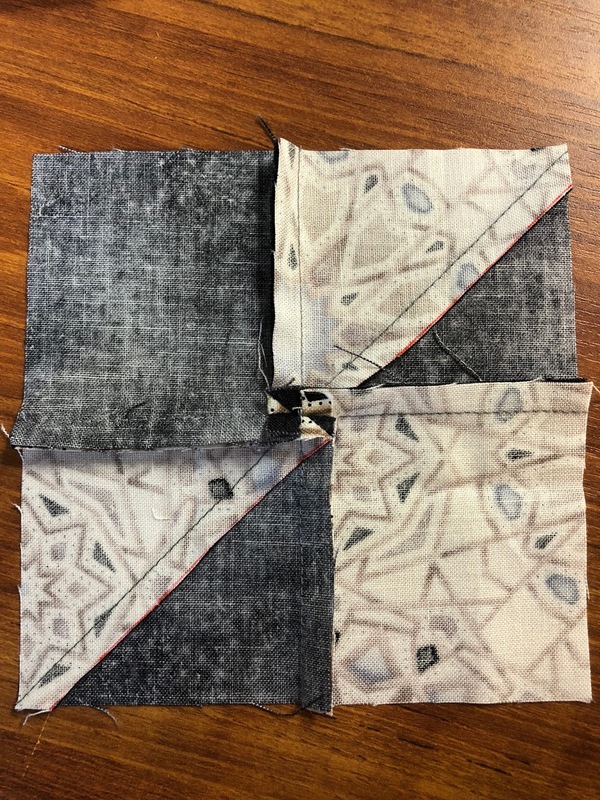 For Block A be sure to use the rail units that are pressed toward the light fabric. If you spun the seams in Clue 5 as recommended, these rail units should nest with the 4-patch seams. 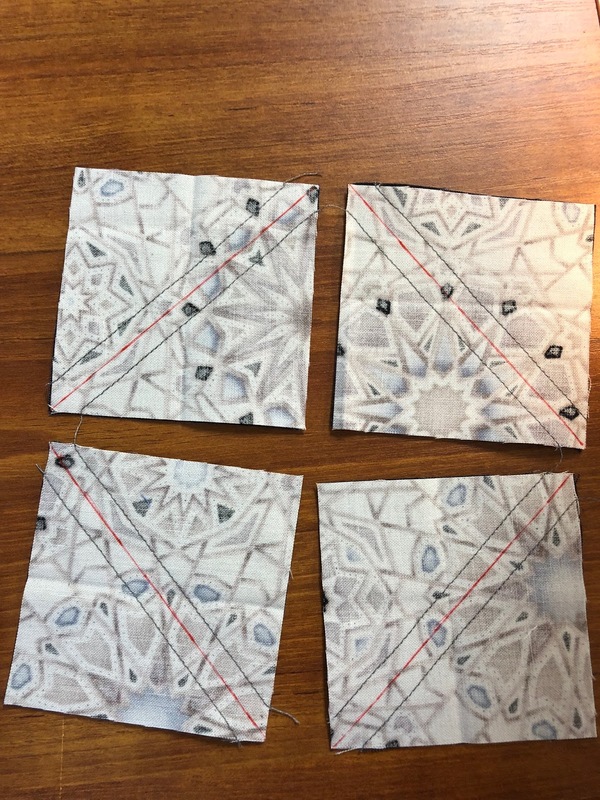 And just like the construction of the 4-patch units, as a double-check, you should never be sewing the same fabric together. 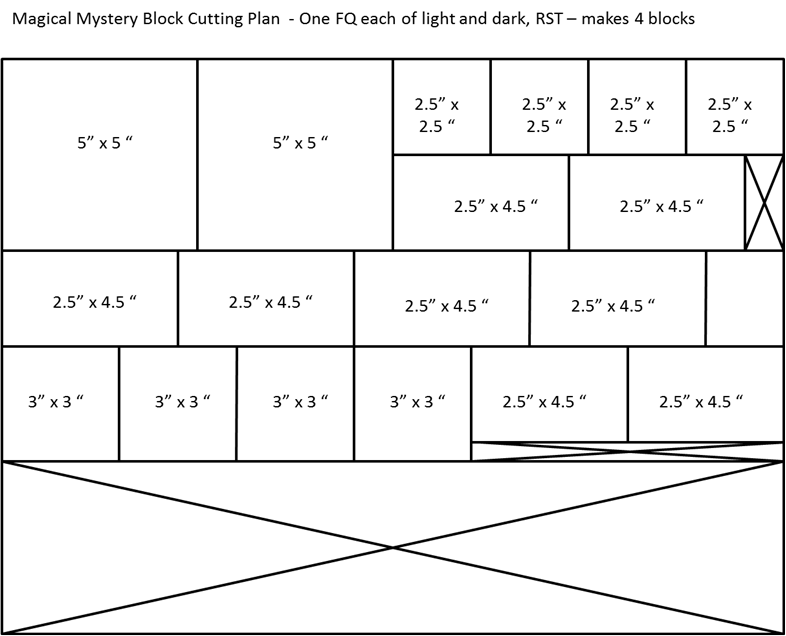 Again, pay close attention to the orientation of the triangle squares. Assemble like a 4-patch, sewing a rail unit to the 4-patch unit and the large triangle square to a rail unit. Press toward the rail units. Spin the final seam. Why spin the seams? 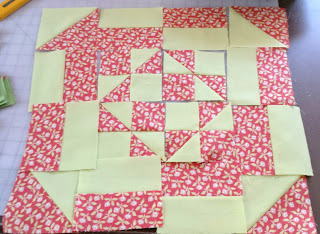 When you spin the seams of a 4-patch construction, you can orient your block in any direction and it will automatically nest with the next block. You're skeptical, I know. But try it, it works! 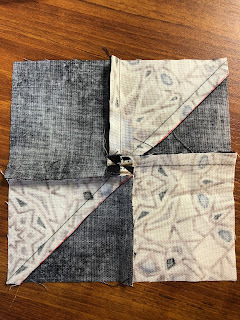 I will say that, depending on how you assemble the blocks into a quilt, the seams where rail units meet end-to-end may not nest. In that case I flip the seam at the intersection and press the seam into submission. 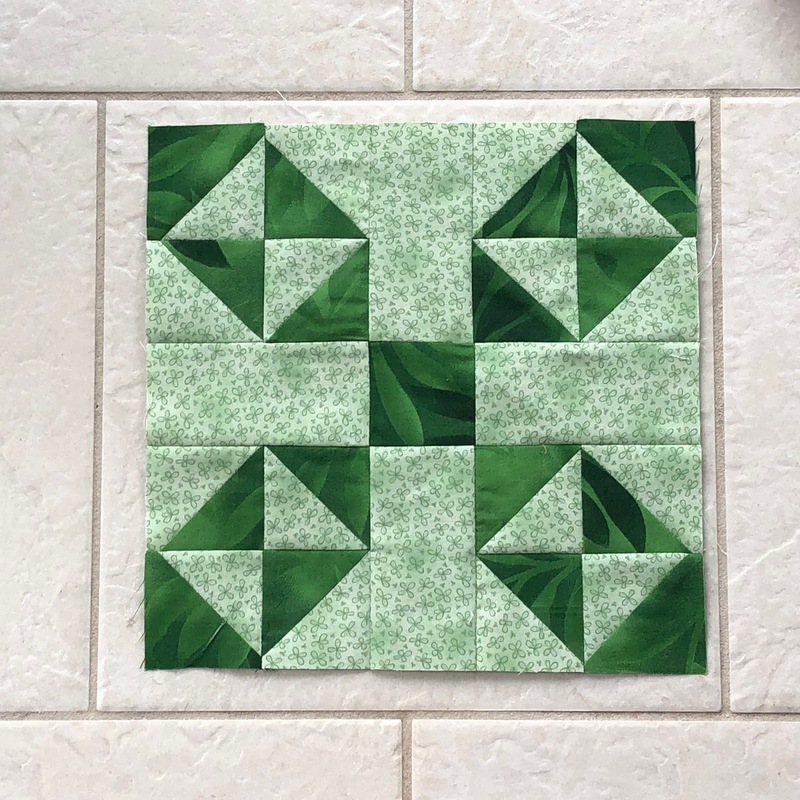 As I said before, you could make a quilt from all A blocks or all B blocks, but the more interesting construction comes from alternating A and B. 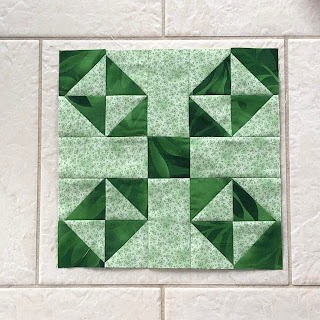 Because of the strong diagonal of the blocks, you can do just about anything you could do with a plain HST or a light/dark log cabin block. 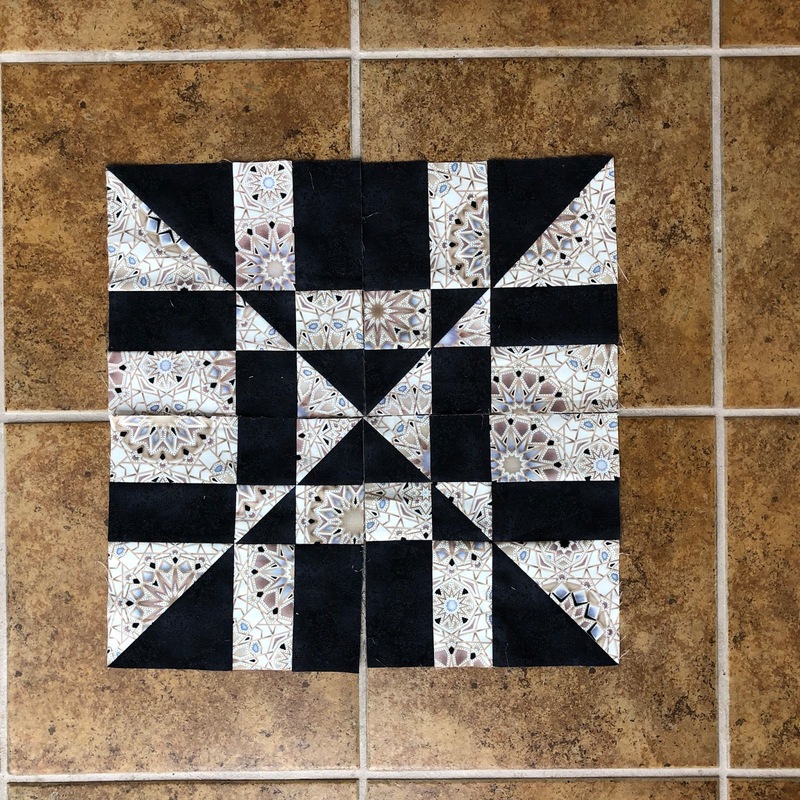 Check back tomorrow to see a finished quilt (not this one, though) and learn about the bonus block. 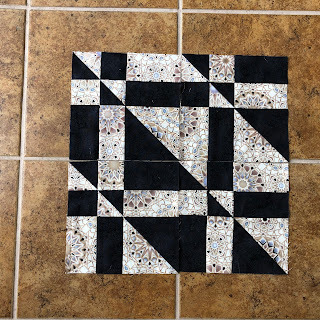 To give credit where credit is due, this mystery was inspired by a block called Hopkins Square in Judy Hopkins' book 501 Rotary-Cut Quilt Blocks (Martingale & Company, Woodinville, WA, 2008). And if you want more setting inspiration, check out Judy Martin’s Log Cabin Quilt Book (Crosley-Griffith Pub. Co., Inc., Grinnell, IA, 2007). 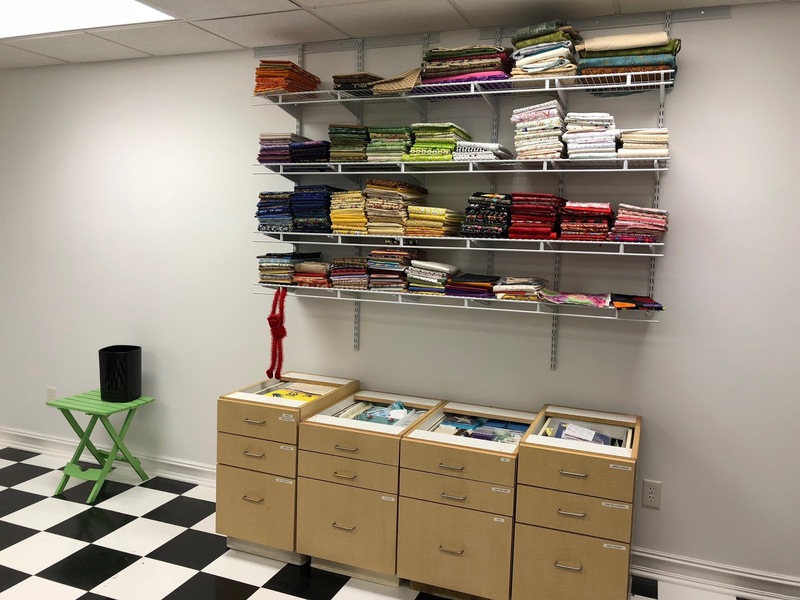 I hope you had fun and I would love, Love, LOVE to see pictures of any finished quilts. 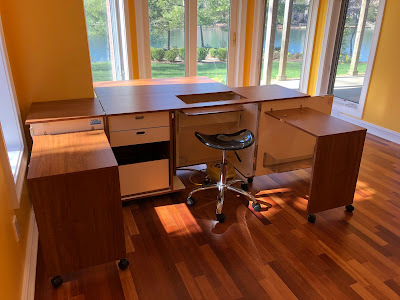 I am so inspired by everyone's guesses that I want to share a few here. But please be sure to visit their blogs for "the rest of the story" (links below). Ramona/Doodlebugs and Rosebuds Quilts came up with several different arrangements; this one was my favorite. Jeanne/Spiral's solution was similar to Ramona's. Julie in GA/Julie's Quilts and Costumes anticipates using her blocks for a Quilt of Valor, hence the patriotic colors. I think Julie in GA, Diann, and Marlene/Covered in Stitches were sharing the same wave link. 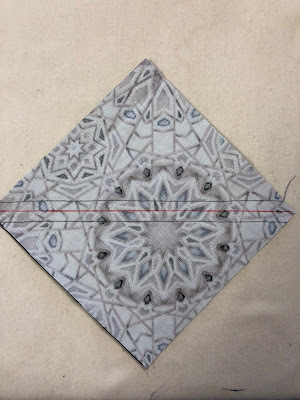 Isn't it fascinating how we can start with the simplest of shapes -- squares, rectangles, and triangles -- and combine them into an (almost) infinite array of designs. These units would make great leaders/enders in RSC colors ... I may just start doing that! I'm going to wait till this evening to reveal MY solution so that the West Coast contingent has a chance to check in. Again, thanks to all of you who participated. Be sure to check out the links below. I had a good report from the orthodoc yesterday! While still in the boot during the day, I can put more weight on my right foot now and remove the boot to sleep at night. No driving, though. It felt so weird without that lead weight at the end of my appendage; I tingled in places I didn't know I had! I worked on flexing the foot up and down but haven't had the courage to work the ankle side to side, yet. Mr. Hillside and I have made great progress packing boxes this week so I think I can break out the sewing machine without guilt today. I need to finish up my mystery blocks before the big reveal on Monday! 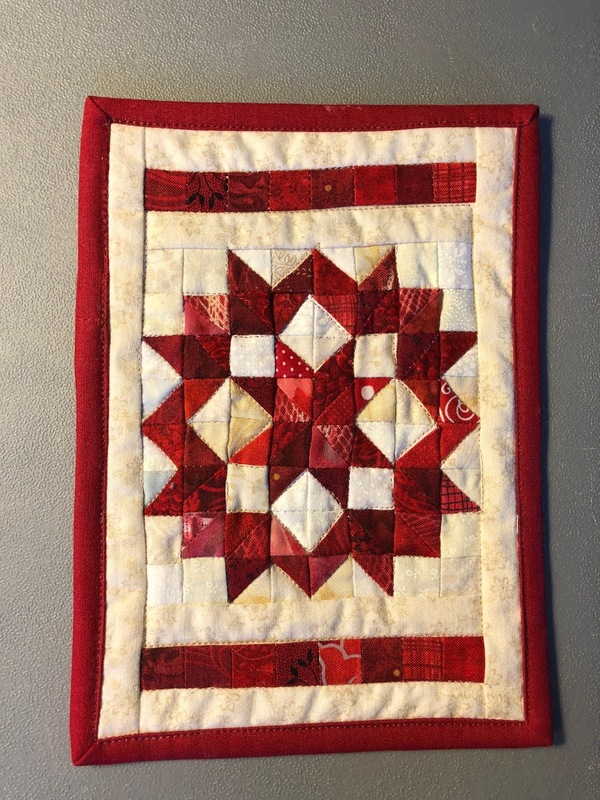 Welcome to Clue 5 of our Magical Mystery Block Quilt-Along. If you are just coming to the party, you can catch up here and here and here and here and here. 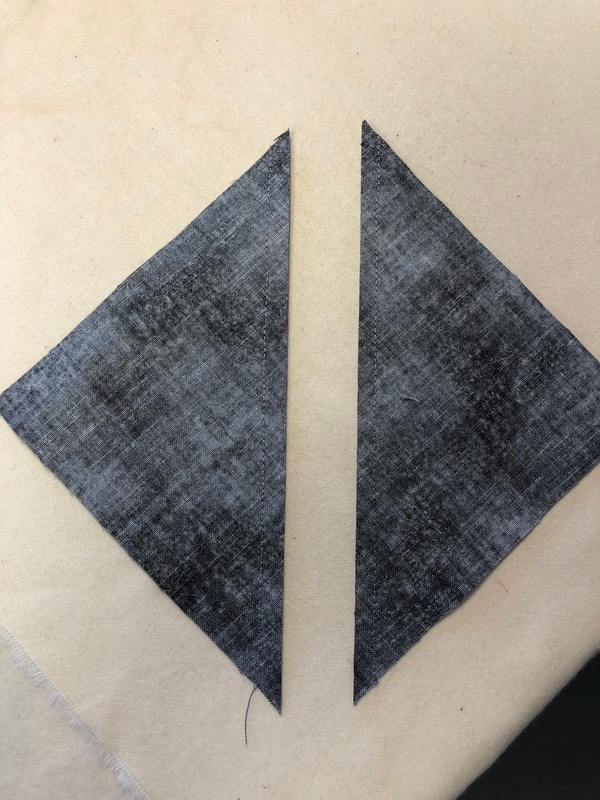 and the 2-1/2" triangle squares you made in Clue 4. 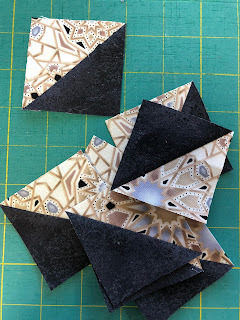 Each 4-patch unit will have two triangle squares (HSTs), one light square, and one dark square. Make four identical 4-patch units for every pair of FQs you cut. 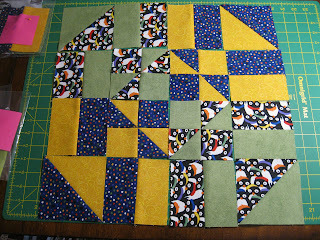 Press your twosies toward the solid square so that the seams will nest. I highly recommend that you "spin" the final seam. Otherwise, press it open. Edyta Sitar gives an excellent demo of 4-patch spinning here. you should be able to simply twist them apart. 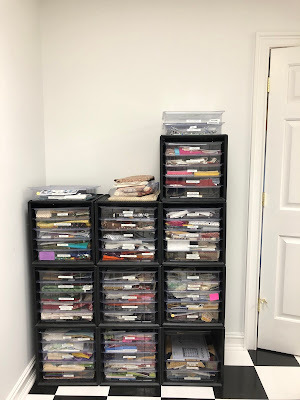 I find it helpful to stack all my pieces before I start sewing. I double check against the illustration to make sure I have not turned a HST the wrong way. that is, you will always sew light to dark or dark to light. This is the LAST clue! Once you get the 4-patches made, fiddle with your pieces to see if you can solve the mystery. Remember, these same pieces make two different blocks, A and B. Also, remember the rail units you pressed to the light and labeled "A". You should be able to make two A blocks and two B blocks. but the most interesting settings use a combination of both A and B. Let's plan to link up again on Monday with your possible solutions. I will reveal the final solution Monday night, along with setting options. Oh, and there is a BONUS third block option! Oh, wait, what's that rug my Stonewall State Park Resort (it's in WV) mug is sitting on? How could I have failed to share this gift with everyone? Let me digress for a minute and take you back to October of last year. 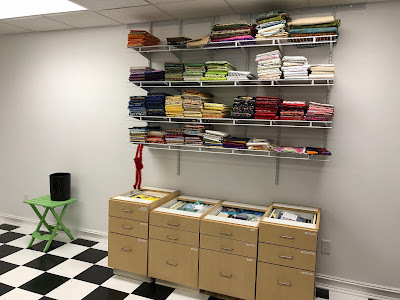 I was at Mountain Quilt Camp along with The Joyful Quilter and I was working on a guild paint chip challenge. I don't remember the exact color names, but they were basically pink and green. I was experimenting with shadowing. In my all-time favorite color, tee-ninecy HSTs! Thank you, Joyful!! We're getting near the finish line with this little mystery. I hope you all are enjoying it as much as I am seeing where you are going with this. So let's see your progress thus far. 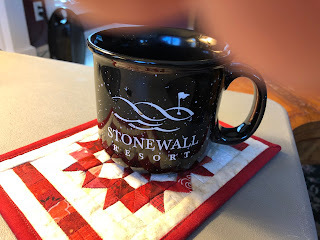 We have two new participants: Julie in Georgia and my friend Sharon B. Sharon doesn't have a blog so I will share any pictures she sends me. Be sure to visit the other links below and offer your encouragement. PS: We're back up on the Plateau for a few days and guess what DH forgot to pack -- my tote with ALL the mystery bits and pieces! I may have to scramble to get the last clue ready by Friday. It has been fun following everyone's progress. I promised that each clue would take less than one-half hour. Ramona said last week it took longer for her iron to heat up than to make her units. Gayle said it took her longer to get to the studio! I know some of you are going above and beyond the 4 blocks in the mystery and that's great! But my purpose is more to inspire you to think about the opportunities rather than saddle you with yet another UFO. I'm working along with you; I have two quilts in progress. 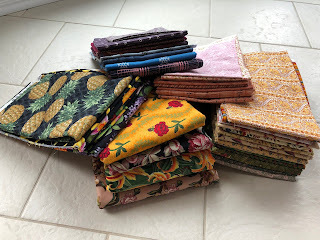 I want to show some units from the second quilt that are an example of poor value choice. 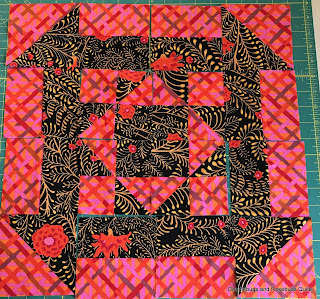 I also hope I can find an arrangement in the final quilt that can make good use of this lack of contrast. Be sure to visit the links below and offer your encouragement. Cynthia Brunz/Quilting is More Fun than Housework, designer of the pattern Geese Migration, has put out a call for those who have made her quilt to post today. So here's mine. Like so many others who have made this quilt, I saw it in a magazine and immediately knew I needed to make it. 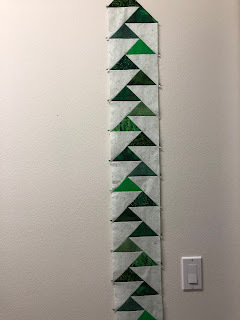 I tried to imitate the gradation of color I thought I saw in Cynthia's quilt. 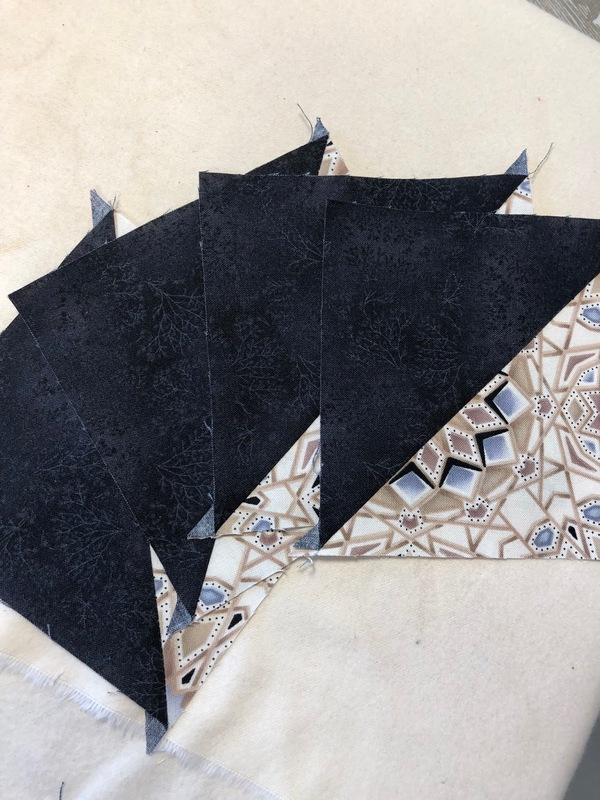 Unfortunately, I was working with a somewhat limited palette of fabrics and the subtle gradations don't show in this photograph. 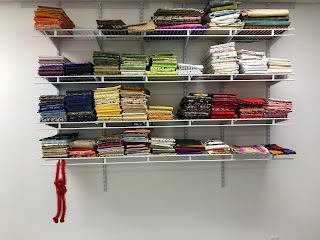 It is next to go to my LAQ for quilting. 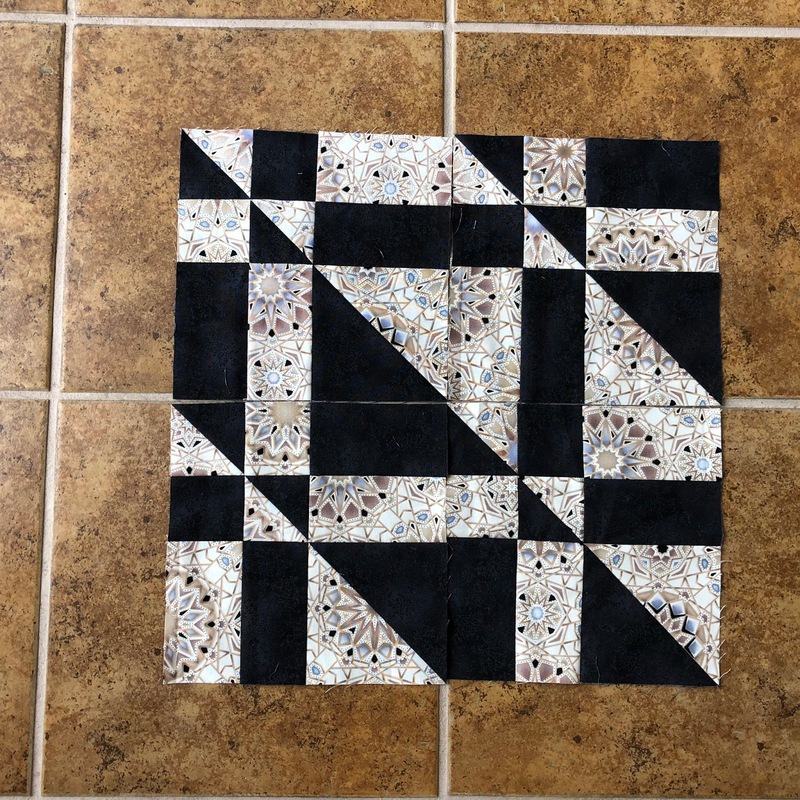 Design by Cynthia Brunz (Quilting is More Fun Than Housework). 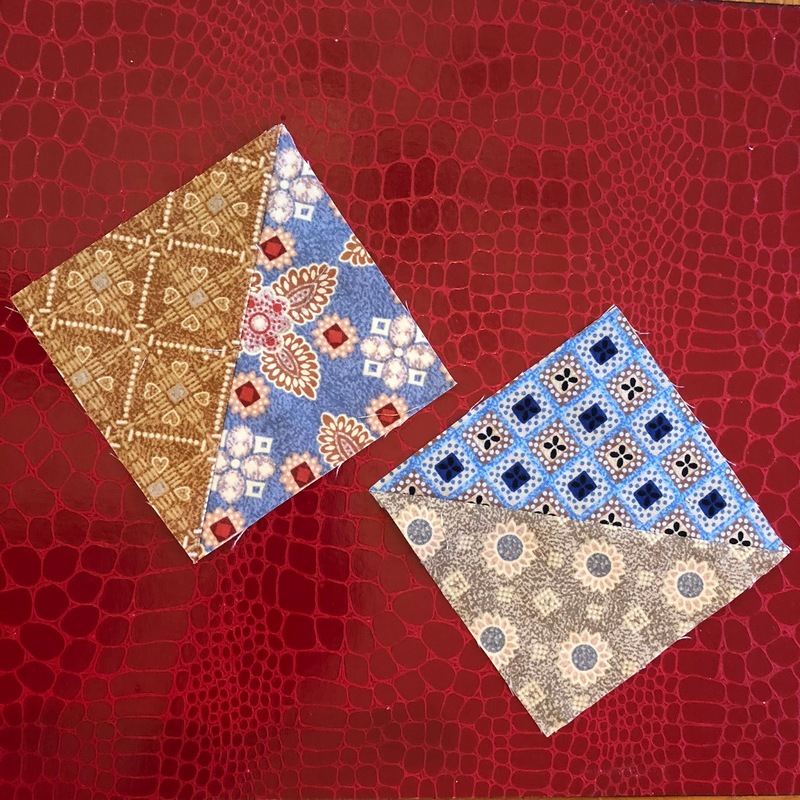 Fabric collection begun 2014, mostly Daiwabo supplemented by taupe-like prints from stash. Blocks begun November 24, 2015. Layout and construction begun January 2017. Final top assembly February 22, 2017. Yesterday the orthopaedic specialist confirmed that one of my ankle bones is broken. He think it will heal in a boot, no surgery required! 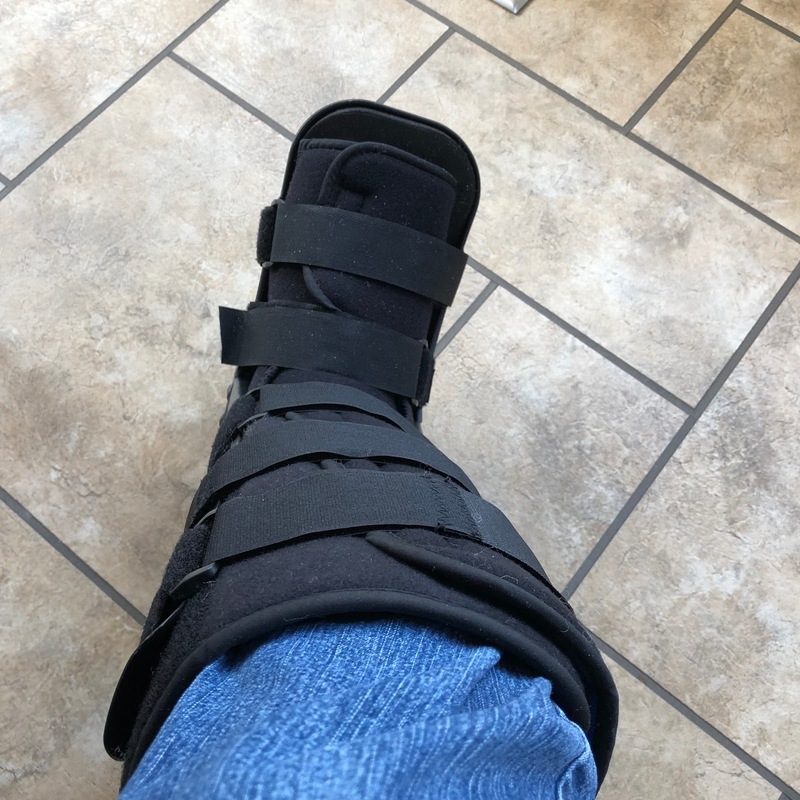 I can remove the boot to bathe, but I have to sleep with the dang thing on for the first two weeks. All I can say is it's a pain in the ... leg. Driving is currently out of the question. At least I can drive a sewing machine with my left foot! I did keep a machine here at house 1, but I'm not sure I have any projects here to work on. It could be six weeks of binding. Update: Apparently I thought ahead and brought my Magical Mystery blocks home with me! 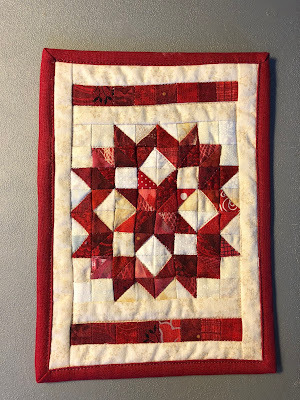 Welcome to Clue 3 of our Magical Mystery Block Quilt-Along. If you are just coming to the party, you can catch up here and here and here. 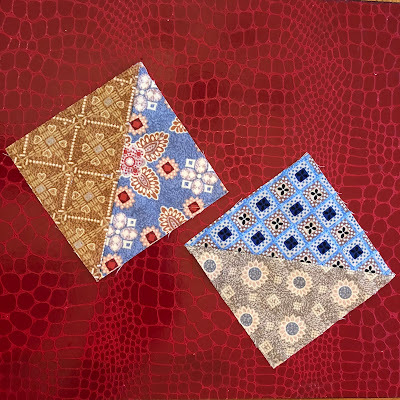 For this clue you will be using the 5" x 5" squares. Pair a light large square with a dark large square, right sides together. Then cut apart on the drawn line. Press all toward the dark fabric. You should now have four large triangle squares. Trim these to 4-1/2" square, making sure the seam goes corner-to-corner. and cut the squares on the diagonal before stitching 1/4" from the cut edge. than it will for you to make these units! that is, assuming I've not been put in solitary confinement with my broken ankle. ... and the RSC Sampler block. 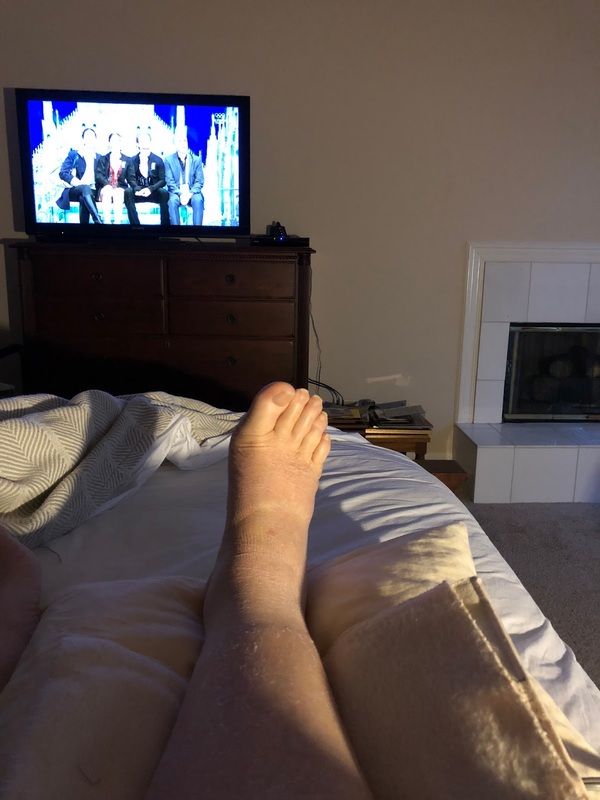 While surveying the acreage with lawncare guys, I slipped on a rock, hyperextended my knee, almost fell into the lake, and broke my right ankle in the process. At least there were 3 strong guys there to help me up the little hill! Now I can't even go down to the studio or sew ... or drive so I'll have to ride back to house 1 in the truck with DH. Will see an orthopedic specialist back in Nashville. 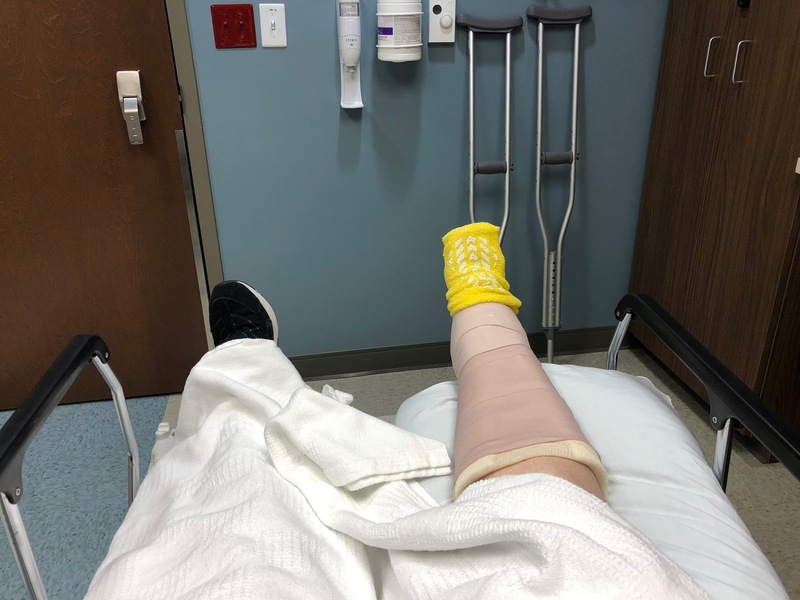 Hoping it will just need a cast, no surgery. I've enjoyed watching everyone's progress this week. 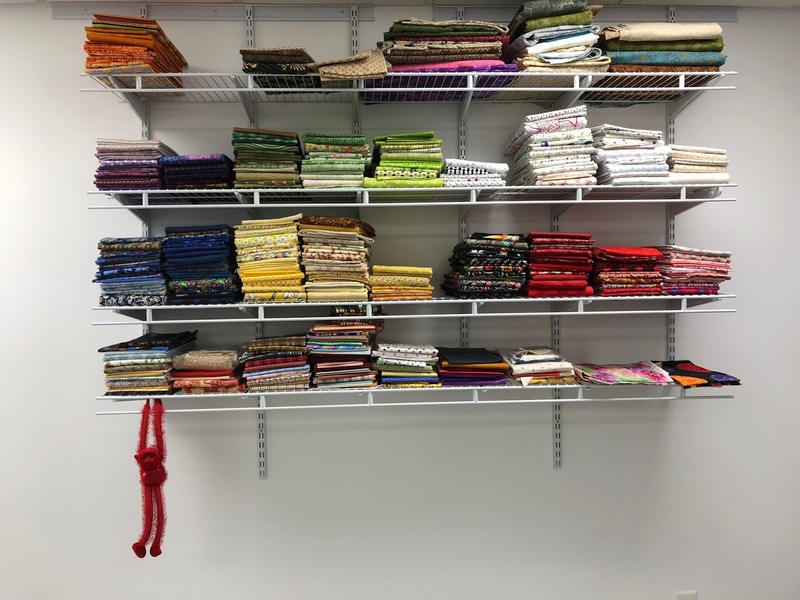 Quite a variety of fabric selection, I will say! It is going to make the final solution (that sounds like Sherlock, doesn't it) even more interesting AND inspiring. All known participants are in my reading list so I will know when you post and will add a link. 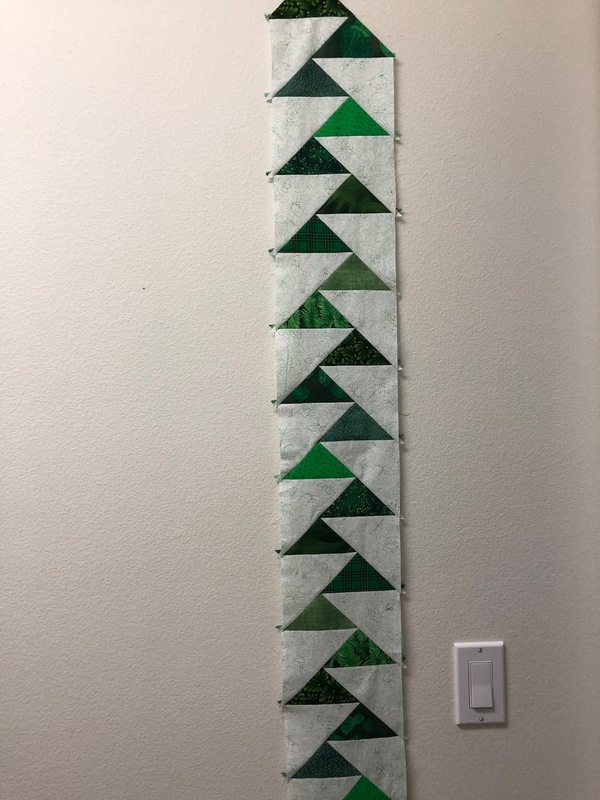 Again, thank youall for joining in for my first attempt to lead a quilt-along. Be sure to visit the links below and offer your encouragement. It was late in the afternoon, the light wasn't the greatest ... but I want to share a glimpse of my new sewing room. Koala in place. Just look at this view! I may never leave home again!